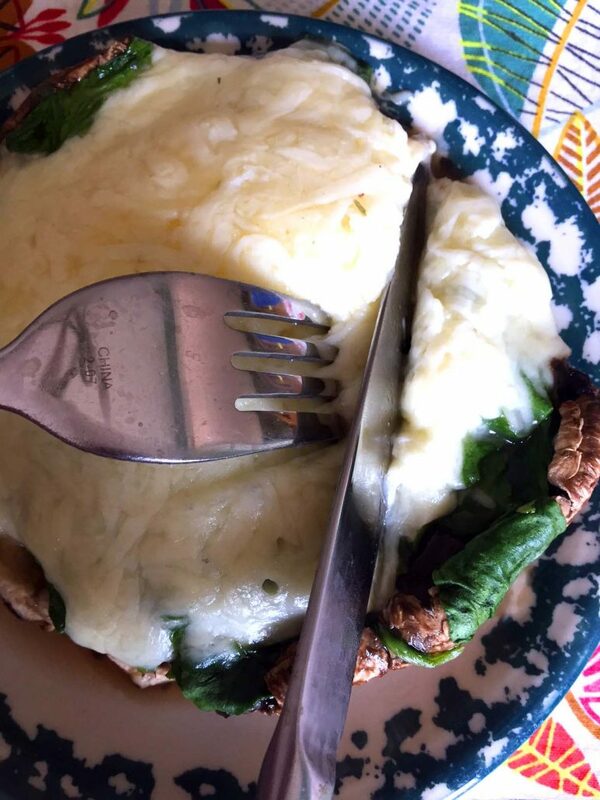 Low-carb pizza made in Instant Pot? 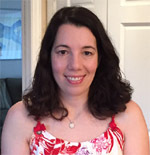 Yes, it’s for real! 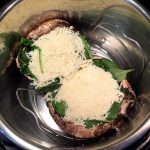 Treat yourself to Instant Pot portobello pizza – you’ll love it! 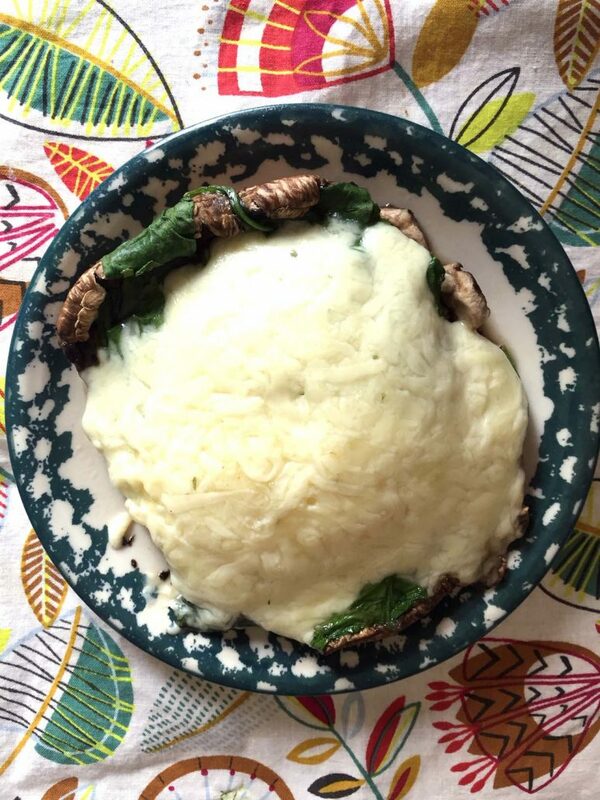 If you love pizza but don’t want the carbs, make yourself a portobello pizza! 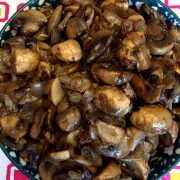 In this recipe, I’m using a giant portobello mushroom cap as a crust for a mini-pizza 🙂 Before I got my Instant Pot, I always used to bake portobello pizzas in the oven like any other pizza, but I figured that this recipe is a good Instant Pot candidate. 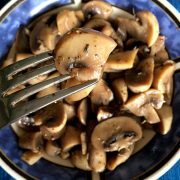 After all, I already cooked white button mushrooms in the Instant Pot (see my Instant Pot mushrooms recipe), so why not portobello mushrooms? 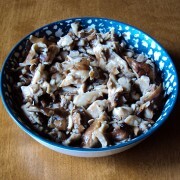 Instant Pot cooks any mushrooms perfectly, including portobellos! 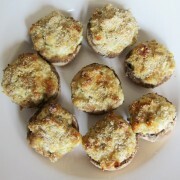 Portobello pizza is so good for you, it truly is a health food, and it’s so delicious! 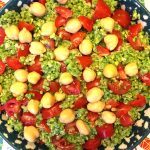 It’s extremely low in carbs, gluten-free and full of vitamins and nutrients! Mushrooms have meaty texture and are super-filling, so you’ll be totally stuffed after eating this portobello pizza. 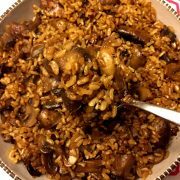 This is a complete vegetarian lunch or dinner made in one Instant Pot – no side dishes needed! 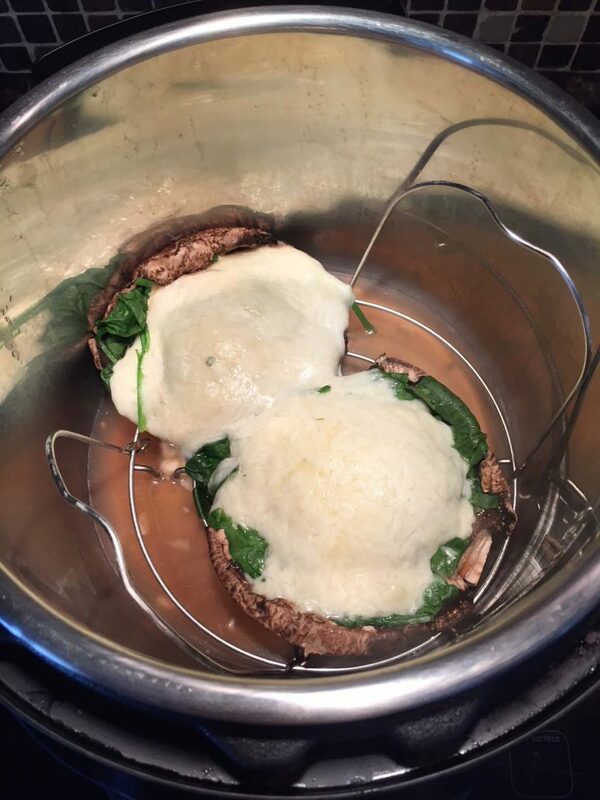 Making portobello mushroom pizza in the Instant Pot is super easy. 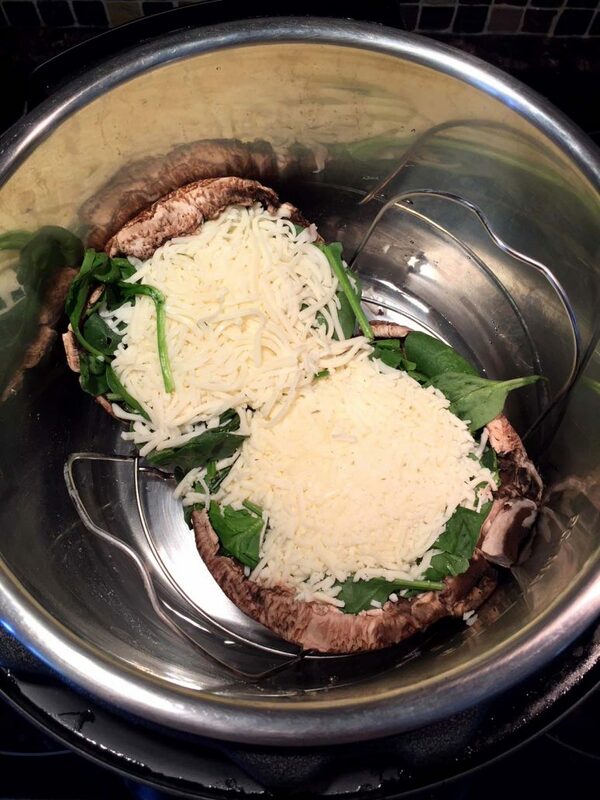 Just assemble the pizza with your favorite toppings (the variation on the photos has portobello caps as a base, slathered with tomato sauce, topped with a layer fresh baby spinach and finally with a thick layer of shredded mozzarella cheese). Put assembled portobello mushroom pizza on the trivet inside the Instant Pot with 1 cup of water on the bottom, and pressure cook on High pressure for 10 minutes, followed by a quick release (QR). That’s it! Super quick and easy and much faster then the oven method! You can make a batch of portobello pizzas ahead and refrigerate for later, so you always have a healthy lunch or dinner on hand! When ready to eat, just reheat in the microwave! As you can see on the picture, I fit 2 portobello pizzas on the trivet, but if it was more than 2, I’d have to stack them on top of each other. In case you need to stack the pizzas, put foil or parchment paper in between layers, so the pizzas don’t stick to one another. Instant Pot Baba Ganoush – got an eggplant? Make this healthy and delicious low-carb dip right in your Instant Pot! Instant Pot Baked Apples – this the healthiest dessert ever, these baked apples are so delicious! Naturally sweet and so tender! Instant Pot Bone Broth – so full of vitamins and minerals, this stuff is super good for you and makes a great base for homemade soup! Instant Pot Broccoli – steaming perfect broccoli has never been easier! Ready in minutes! Instant Pot Egg Roll In A Bowl – this one-dish low-carb dinner is amazing! Tastes like the egg roll without the wrapper! These Instant Pot portobello pizzas are so easy to make, healthy and yummy! This is a perfect low-carb pizza! 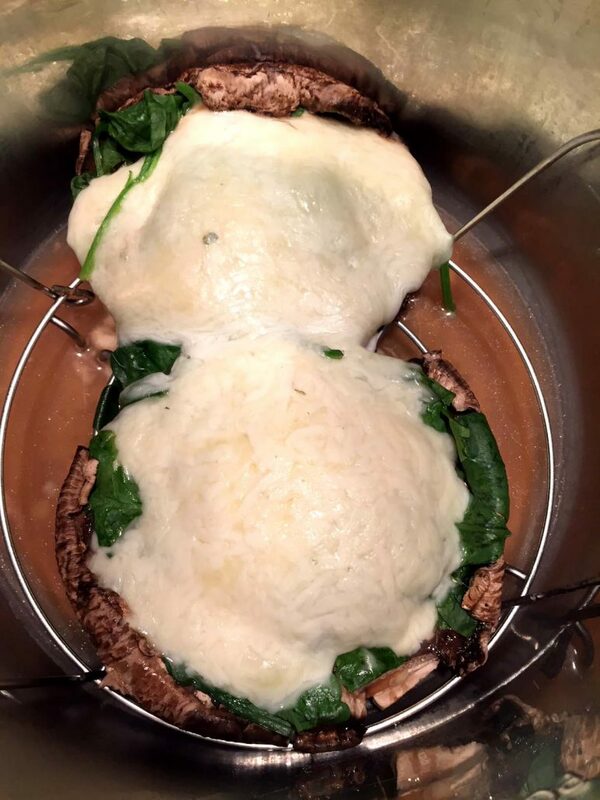 Assemble portobello pizzas: spread the portobellos with tomato sauce, top with spinach leaves (if using) and sprinkle shredded cheese on top. 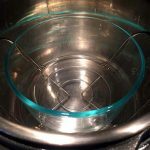 Pour water in the Instant Pot. Put the trivet inside the Instant Pot and put the portobello pizzas on the trivet. Close the lid on the Instant Pot and turn the valve to a Sealing position. Press the "Pressure Cook" or "Manual" button and set the time to 10 minutes on High pressure. Carefully remove portobello pizzas from Instant Pot with a spatula and serve. You can make more than 2 portobello pizzas at once, just put foil or parchment paper between layers so the pizzas don't stick together. The quantity of water and cooking time remain unchanged.